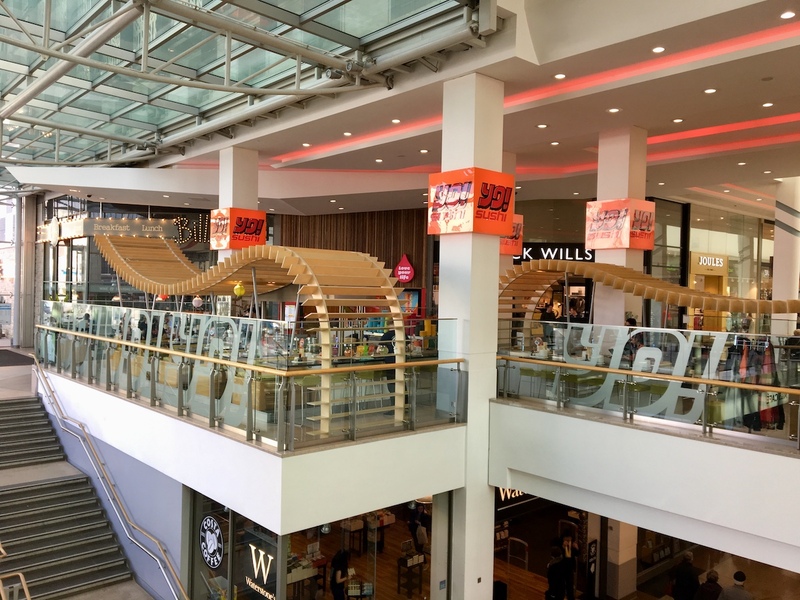 Muddy Stilettos reviews the dining options at Plymouth's Drake Circus. Eaten in and around Drake Circus lately? Funnily enough, I have and I've lots to tell you. Something occurred to me recently while dashing in, out and around the Mall in Plymouth with the Mudlet attached to my leg. The food scene has completely changed. I’m certainly not a food snob, but when I plan to eat out, I do tend to think of places that satisfy at least one of the criteria of good food, location, or atmosphere; I’m not sure I would have stopped to consider Drake Circus a year or two ago. But, knock me down with a quarter-pounder, things have moved on in the fast-food chain-driven mentality of shopping centres. It’s no longer about grabbing a quick Maccie D’s as simply sustenance when you’re on a shopping mission. 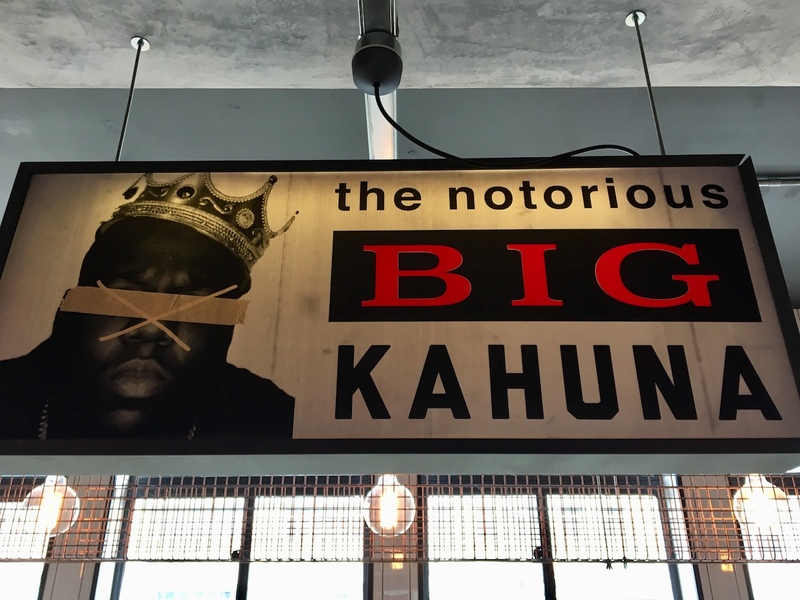 The new breed of chains that have moved in have smartened up, with curb appeal as you wander past; and once lured inside you’ll find an upbeat, busy and cool vibe going on that’ll make you want to stop longer than ten minutes. 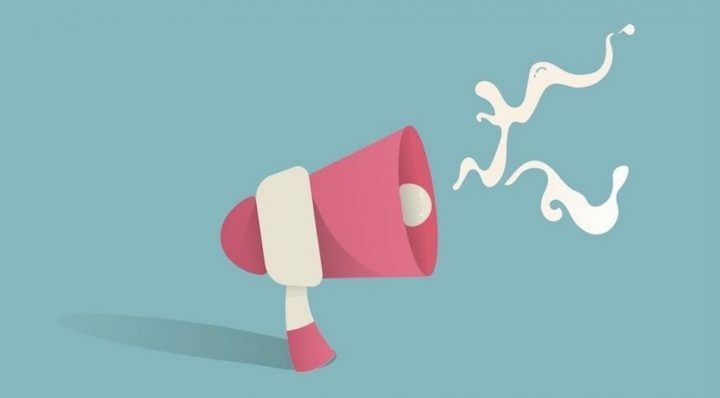 Yep, you might have shopping to do and kids demanding a visit to the toy shop, but you really should actually consider building a decent pit-stop into your day the next time you partake in a little retail therapy. To satisfy my curiosity at my new-found discovery, Team Drake Circus let me go on a little foodie tour around the place. With it being the coldest, drizzliest winter on (Muddy) record, I thought it was a good time to share with you my foodie highlights, so you can actually embrace and enjoy the inevitable rainy day shopping trip. It can’t always be beach walks and crafts sessions, can it? To me, Bill’s epitomises how the ‘chain’ has progressed. Unless you were an avid fan of this restaurant already, you mightn’t even realise it belongs to one. 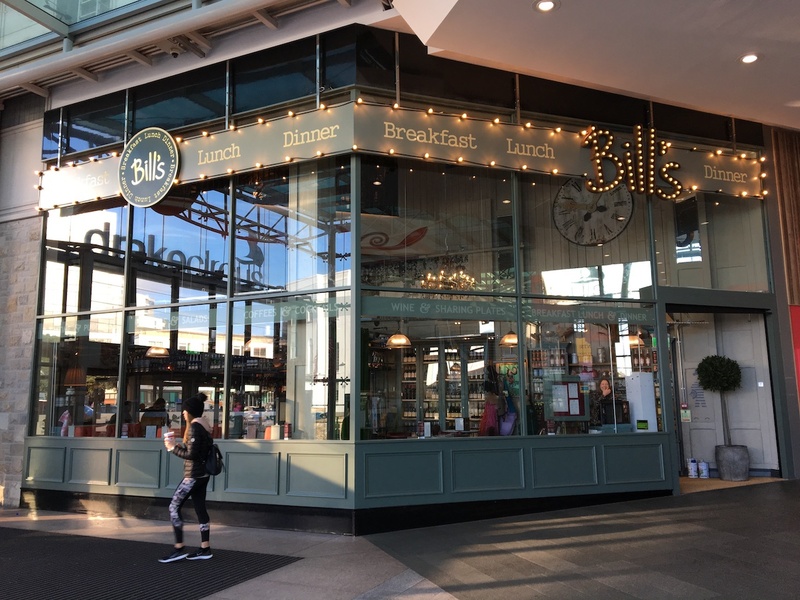 It’s quirky, buzzy and the food is really, really good, as are the Bill’s-own foodie products that you can buy. 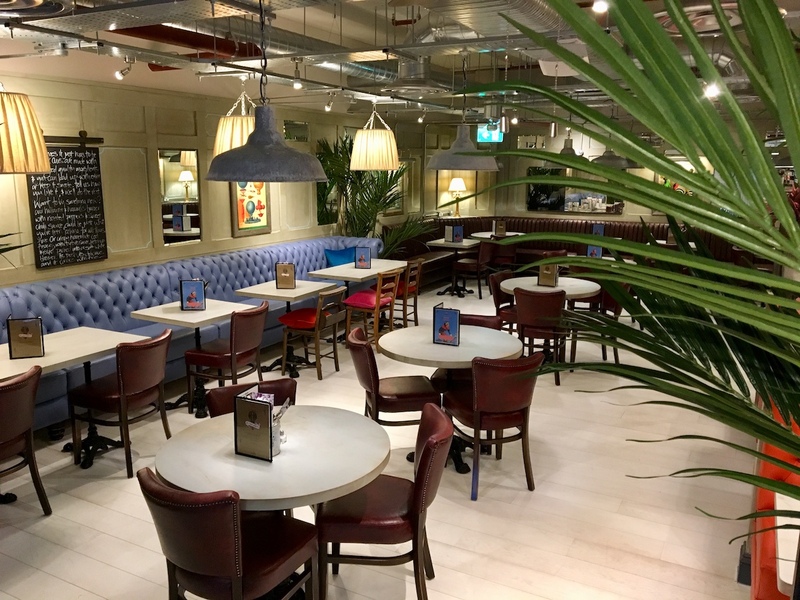 It’s the newest addition to Drake Circus, having taken the spot of Ed’s Diner and, though it may look quite small from the outside, it’s cacophonous inside, across two floors. 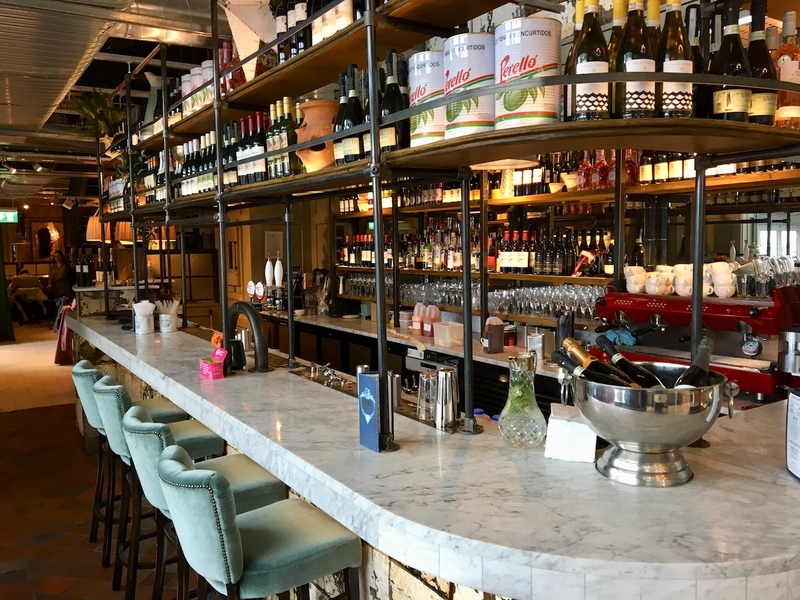 Why I liked it: I loved the eye-catching decor and cosy booths; spot-on staff, who are friendly, super-knowledgeable on the menu and on-hand when you need someone (no chance of being given a menu, then waiting an age to catch someone’s eye to order). The menu spans the whole day, from breakfast (which I loved) right through to dinner (they currently stay open until 11pm and have a natty little side entrance so you can access it from the street. Once you’re in you kind of forget you’re in a shopping mall setting). The snazzy bar makes this a really good option for evenings, too. This is a good all-rounder restaurant covering all the bases. Yes! A nice, illustrated children’s menu, along with crayons for colouring in all of the different fruits. It’s not stuffy, or hush-hushed tones, so you can relax with small’s in tow. In your greasy face, other burger chains that we won’t mention. 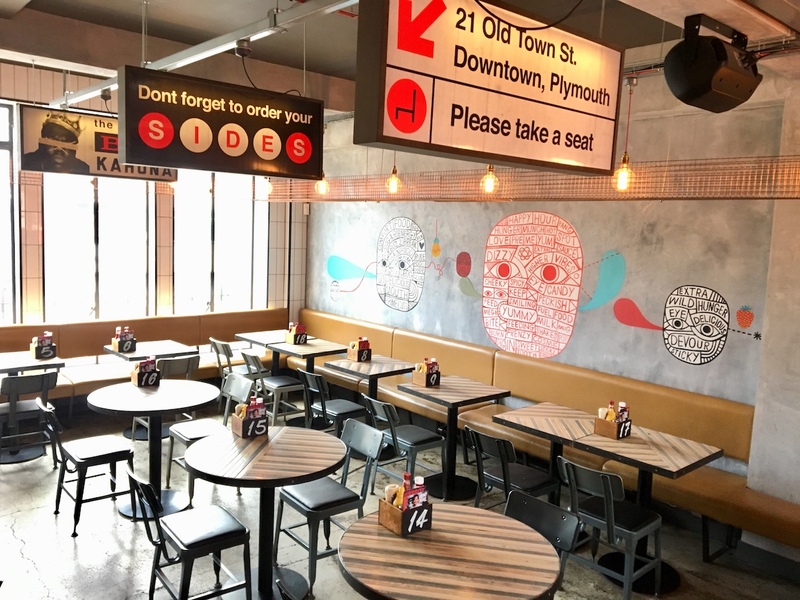 Hubbox, just outside the mall, with its American inspired street food vibe was more than a pleasant surprise. 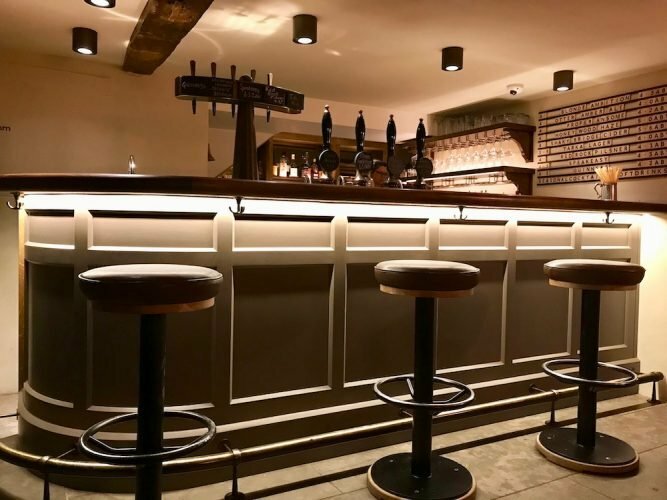 Gritty, industrial interiors and a fun menu make it an easy stop-off but food and provenance is also a big deal here, so the meat is top-notch and the burgers award-winning. 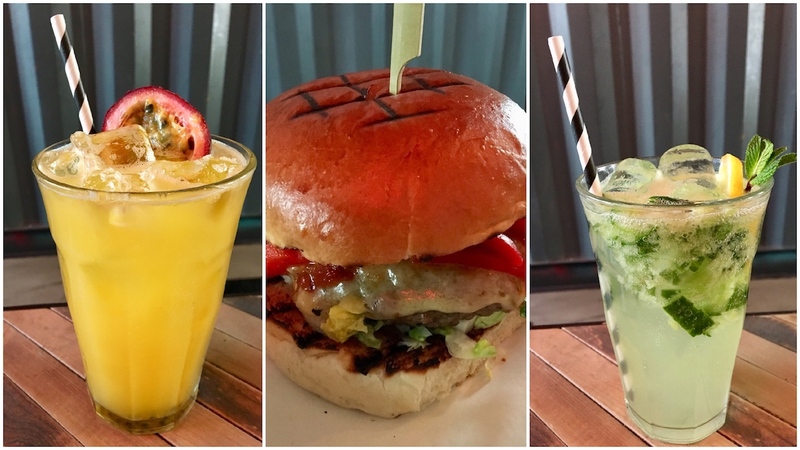 Yes, if you’re hankering after a burger you can’t go wrong at Hubbox; but what appealed to me is the casual layout of the all-day menu and the variety, too. You can eat as much or as little as you want, without feeling weird if you only fancy a side and a coffee. I had a divine mug of mac ‘n’ cheese, while Mr Muddy went for the special Hawaiian Burger. The fact that you can drink anything from an Origin coffee (good), to a cooler cocktail or a craft beer makes it a decent destination, day or night. Who goes: You’ll see a mix of students, families and groups of friends in the booths tucking in here. Kid-friendly? Too right. And I reckon kids will go mad for the malt shakes topped with whippy cream. With dishes like the Puppy Dog and Mini Betsy (falafel burger in a slider bun), eating with smalls will be a pleasure and you’ll win massive brownie points with them, too. Back into the Mall itself and the only place we visited that wasn’t in its own premises, Yo! Sushi’s open location on the first floor should be embraced. The Japanese street food and sushi joint is a great spot for people-watching, lures you in with its aroma’s and is light and bright whatever the weather. And a visit to the brilliantly bonkers Yo! Is always fun, isn’t it? 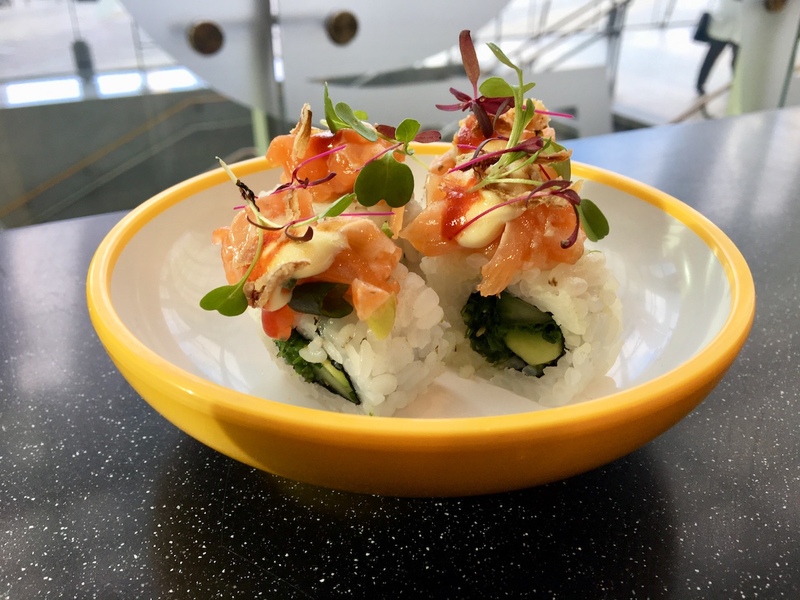 The menu always encourages you to explore with your tastebuds, which is great when you’re bringing kids, as are the mini bowls, colourful decor, conveyor belt and open kitchen. It’s quick, easy and healthy (as long as you don’t overdo the dish-count). Who goes: Young professionals spill out of their offices into Yo! at lunchtimes, but around that it draws a steady mix of peckish people in throughout the day, right through to evenings when you’ll see couples grabbing a pre theatre bite. I liked that you can grab yourself a ‘sumo-sized’ dish and a beer for just £11. Kid-friendly? Yes, definitely. The set-up is a winner alone, but the dishes naturally appeal to young tastebuds. 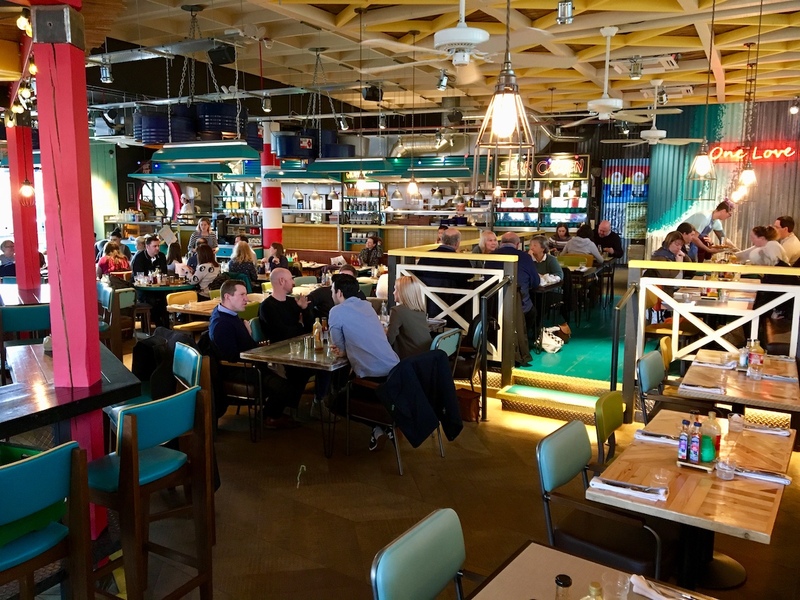 The newest kid on the block, Turtle Bay opened with *the* most talked about launch party of the year last autumn and it’s maintained a Friday-feel there every day, since. With an eternally happy, upbeat vibe the Caribbean inspired restaurant and bar is colourful, both with its decor and its flavours and the music volume is just a notch above the rest. It can’t fail to bring a smile to your face. Brilliant, speedy service, from staff who genuinely want to see their guests having a smiley, happy experience. 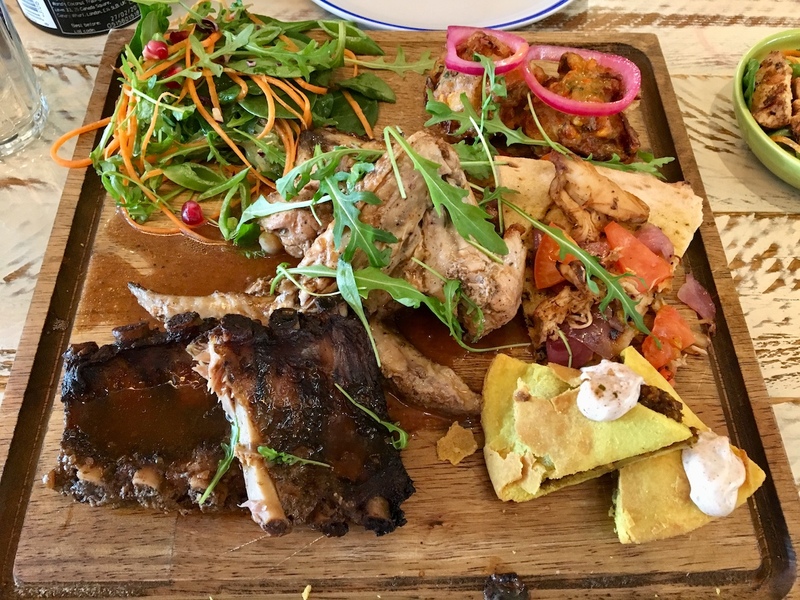 Great sharing platters, too, which is handy if you’re new to this cuisine and you’re not sure about the flavours. Who goes: Families and groups will feel most at home here, since they’ll really appreciate the super-laidback vibe, while friends coming for dinner will love the happy hours. Kid-friendly? Very. There’s a simple but tasty menu for ‘little turtles’, so they can enjoy the same cuisine without the punchy spices. The places I visited all stay open into the evening*, so you could tag a decent dinner on to the end of your shopping, or consider just coming out for the evening. *This is made all the more appealing in February, by the way, when you can park for just £2 after 4pm. So if you’re driving it won’t cost you an arm and a leg.